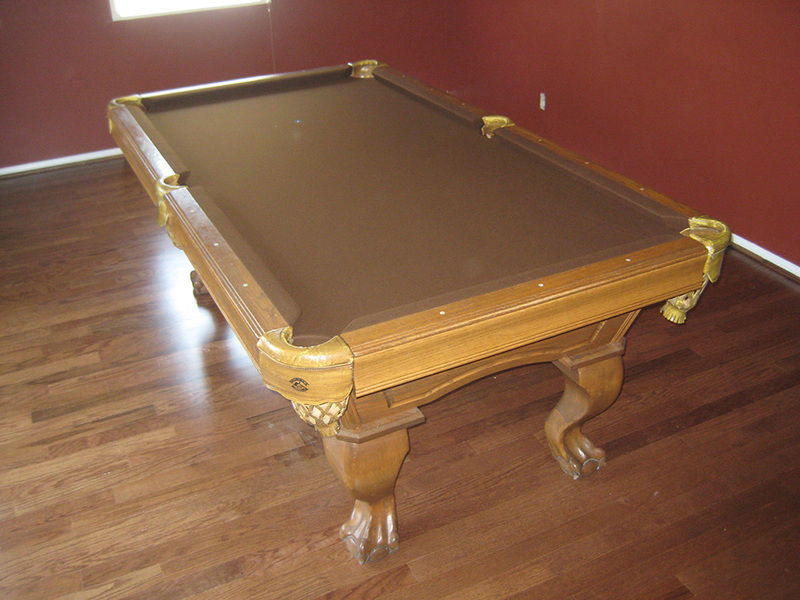 We went up to Downey, CA yesterday to finish up some work on a nine year old Advanced Billiards pool table(a.k.a. Artisan Designs) for what started as a refelt/recushion job. 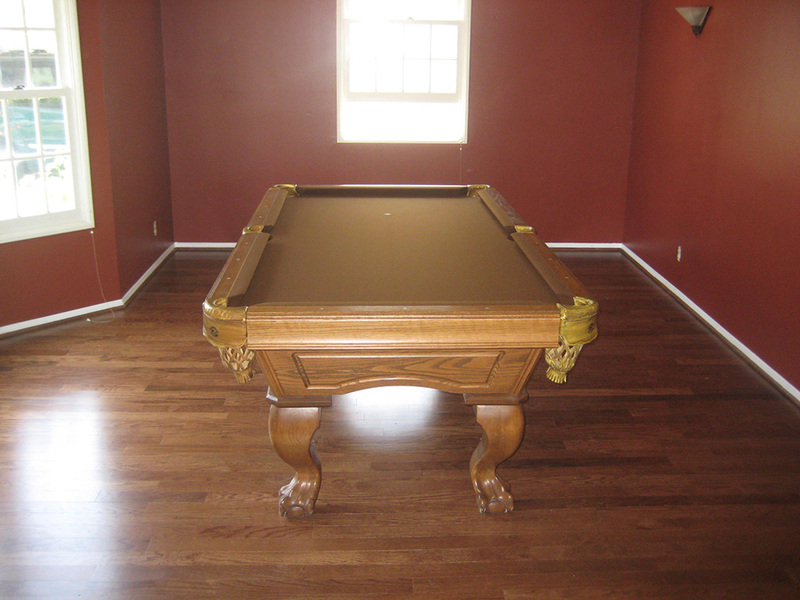 Our customer decided to remodel the front room of their house and make it the new game room. In an effort to save our customers some money we asked if they could unbolt and remove the pool table rails and bring them in to our shop, which they easily did. This pool table was only nine years old, yet the cushion rubber was as hard as a brick and probably had been for some time. 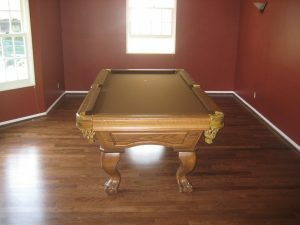 In the two weeks that we had their rails in the shop it allowed them to finish up the new “game room”. So when the room was ready we came out to disassemble the rest of the pool table and move it into the new spot. The front room of their house was larger than the previous so it allowed us to comfortably set-up the pool table while still having enough space left to provide seating. Nice chocolate brown felt on a classic oak pool table. Simple and looks great with the floors.